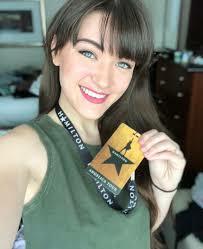 “Fresh off her stint as Peggy/Maria Reynolds in the hit-musical “Hamilton,” Isa Briones, the daughter of Jon Jon Briones, is the first Filipina actress to become a regular cast member of an upcoming “Star Trek” television series. When jewelry designer Reagan John Rada crossed paths with the late Dame Elizabeth Taylor, little did he know that his life would change forever (Inquirer.net). Rappler chief Maria Ressa is the lone Filipino named in Time Magazine's list of the 100 most influential people of 2019 (ABS-CBN News).